It’s tomato season! There’s something about a fresh, juicy tomato straight from the garden that just says summer. Not knowing it at the time, I got spoiled as a kid because we had a plethora of tomatoes, bursting with flavor, from our garden every summer. As a grown adult who is a homeowner, I’ve tried having a garden, and I’ve failed every single time. First of all, I have a brown thumb. I can kill unkillable plants. Many members of my family have green thumbs that produce lush plants and gardens, but not me. Second, there just really isn’t any space in our yard that gets appropriate sun, aside from smack in the middle of the front yard. So, no. No garden for me. I rely on the farmer’s market and friends and family to provide me with the season’s freshest bounty. This time of year, people who CAN grow gardens are begging their friends and family to take tomatoes off their hands. I’m over here like, “Pick me! Pick me!” Fortunately, I did end up with some lovely tomatoes. What I’m sharing with you today is not a recipe, but more of a kitchen hack. A couple of weeks ago, our family was invited to a cookout. I wanted to take a side dish to the cookout, but being a working mom of two small children, I needed something quick and easy to take to the cookout. I noticed my beautiful summer tomatoes and thought of my favorite thing to make with really good tomatoes, Caprese Salad. (I CAN grow basil!) 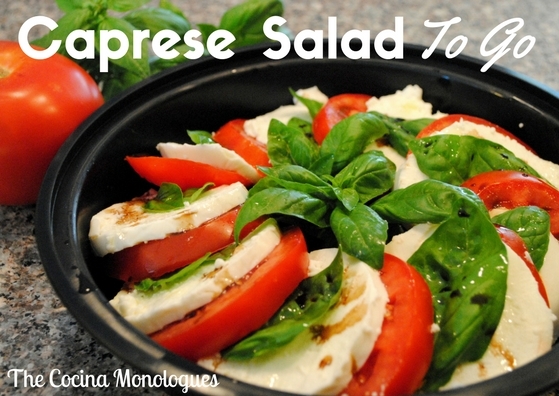 To make this fresh summer salad cookout-friendly, I reused a takeout container that we had sitting in the cabinet and arranged my Caprese Salad in a spiral. It looked beautiful, was functional, and I didn’t have to worry about leaving my dish at the cookout. Perfect solution! No muss, no fuss! 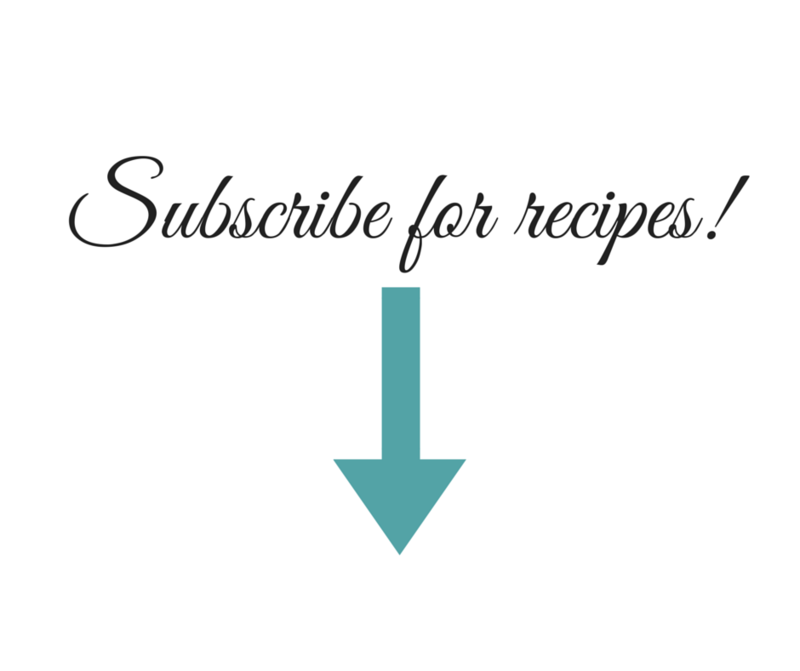 You can use your favorite Caprese Salad “recipe” – and I use that term loosely because it’s really so easy, it just doesn’t feel fair to call it a recipe. 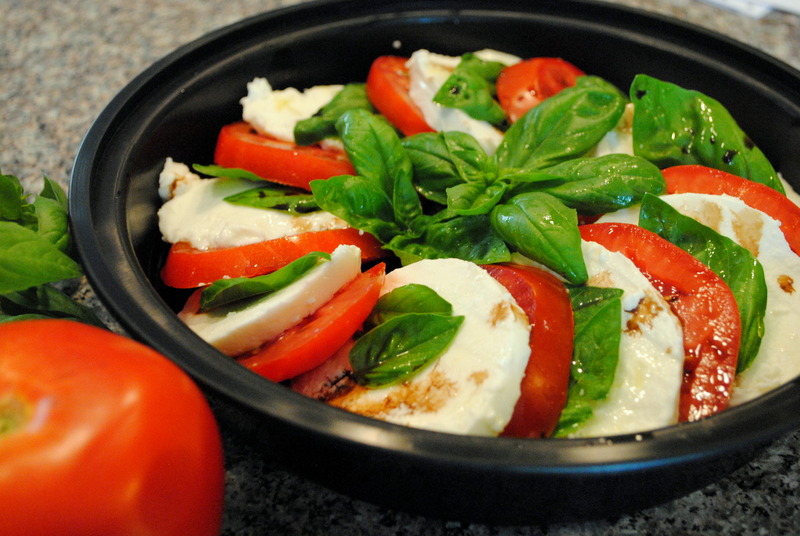 I arrange alternating layers of tomato, basil, fresh mozzarella, and more basil. I like a lot of basil. Sometimes I use just salt, pepper, and olive oil, sometimes I add balsamic vinegar, sometimes reduced balsamic syrup, sometimes balsamic vinaigrette. 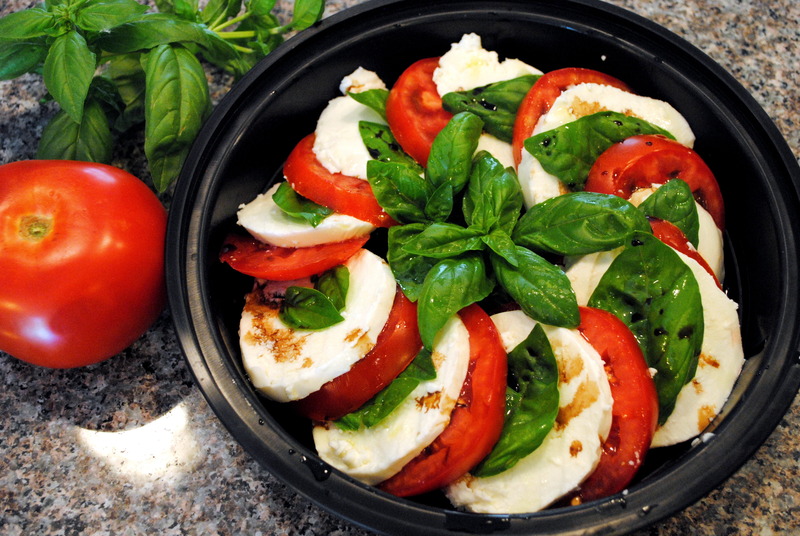 However you like it, use this kitchen hack to try Caprese Salad To Go for your next cookout!